A Torrance man shot to death by police after he set fire to his girlfriend’s apartment and mother’s house was a “stupid child” whose anger was fueled by alcohol, his dog’s death and court orders to stay away from his loved ones, his brother said. 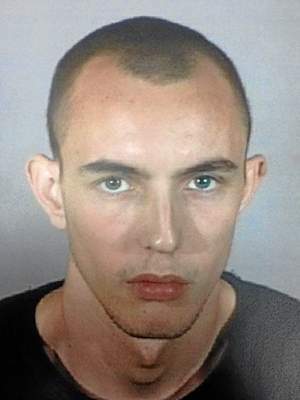 Asa James Dolak, 19, was reportedly extremely drunk when he confronted his former girlfriend, Emily Barrett, with a knife early Thursday at the apartment he occasionally shared with her and their 2-year-old son in north Torrance. A friend might have given Dolak alcohol as a gift on Christmas, said his brother, Samuel Sanchez. Dolak suffered from mental illness, including dramatic highs and lows, and took medication at times, Sanchez said in an interview Saturday. Dolak was sought since 12:15 a.m. when he reportedly broke into the apartment he formerly shared with his girlfriend at 167th Street and Crenshaw Boulevard and threatened to kill her with a knife, Watt said. Dolak’s whereabouts remained unknown throughout the day until officers searching his neighborhood found him in the restroom, about a block from his mother’s house. Dolak, who appeared to be bloody, was holding a knife and ran from officers. They chased him until the shooting occurred. Firefighters pronounced him dead at 1:35 p.m., Watt said. The sergeant said an extensive search for Dolak ensued and about 1:30 p.m. someone “that identically matched Mr. Dolak” was seen at the school. The teenage suspect was seen in a girl’s restroom, bleeding from a hand and armed with a knife. This entry was posted in California, Dead, Man, Shot by Police on December 26, 2013 by usgunviolence.